Bluetooth with song and call information in cluster. The Dension GWP1AC1 is the best adapter avaialble for your Audi. The unit will do show all the song information off you iPod or iPhone on the instrument cluster of the car. Also allow you to use Bluetooth for phonecalls and wireless music streaming. Music can also be played off a USB stick with full info on the instrument cluster. -Calls via bluetooth with control from the steering wheel (to see caller info the car must be programmed with a VAG-COM or delaership tool). - Wireless A2DP music including song information and control from radio and steering wheel controls..
- Music playback from USB stick with text and browse features. - Complete control of your iPod from the steering wheel controls when using the dension IPO5DC9 iPod cable. - iPhone 4, 4S , 5S seem to show song info via bluetooth from music on iPod and online music as long as the app supports it. Android decives usually show song information only from music in the phone. The lastest version of Pandora (4.5.1) shows song information while the app is open on our Samsung S4. - This unit supports iPod/iPhone through USB. We currently do not supported this feature becasue it is still buggy. 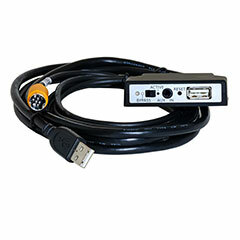 You can use coupon code 10OFFNC to discount the Dension IPO5DCP-NC by $10 when you purchase a this unit. - The EXT1CP2 we feel is a necesarry part of this unit. We sell it to you deeply discounted for this reason. WE WILL NOT PROVIDE TECHNICAL SUPPORT FOR THE GWP1AC1 IF THE EXT1CP2 IS NOT PURCHASED. The EXT1CP2 has a status light that is vital in troubleshoting and the EXT1CP2 also had a reset button that usually fixes most issues. -Not compatible with navigation radios that have the "MEDIA" button. -Glove box CD Changer or iPod dock must be disconnected. -if you are using the factory satellite radio see Enfig AUDI SAT PASS 3. 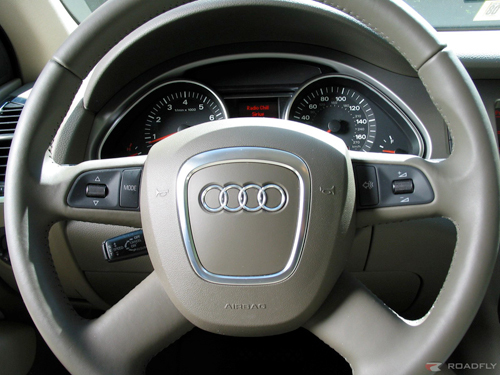 Audi A4 2007 2008 (also 2009 Convertible) with non navigation in Dash 6 Disc radio. -If you are using the factory satellite radio also Enfig AUDI SAT PASS 2. -If you are using the factory satellite radio also see Enfig AUDI SAT PASS 2. Audi TT 2007 2008 2009 2010 2011 2012 2013with non navigation in Dash 6 Disc radio. Audi TT 2002 2003 2004 2005 2006 with non navigation CD radio. I actually installed the Dension GWP1AC2 in my son's 2005.5 A4 with the Symphony II w/Sat radio, non-Bose. The key to the install, other than removing the radio, is pulling the glove box. There are 7 or so 8mm hex head screws (check the youtube video from Wolf Auto) to remove. This opens up the right side of the center console where the radio is mounted. From there you can see a 'pocket' that is perfect for installing the Dension module and the cabling. If you try to leave the module and cable bundle behind the radio it can make it difficult to reinstall the radio. It also provides a clean path for the microphone cable. I installed it in the area by the overhead lights were a factory mic would have gone. If you want full use of the steering wheel controls AND Bluetooth, you will need to do some re-coding with a VAG cable and a PC. You will also need to send Christian a full VAG scan so he can provide the proper coding directions. If you donâ€™t have a VAG setup, go to quattroworld.com (killer forums) and look up your regional forum and post for someone that has a cable so you can do a scan to send to Enfig and to do the necessary re-coding. Most of the active Audi members are more than happy to help in this type of situation. Also, MAKE SURE you have the radio code for you radio. Whenever I had to pull the cables from the radio and then reinstalled them the code was required. Without the re-coding, the direct lightning cable to the iPhone will work, but you will not have Bluetooth. One of the great things in the Dension menu is the volume settings. You can adjust them so that all off the volumes are the same- basically you will not have to adjust the volume to head a call. The default BT audio volume was very low for my iPhone, so I maxed that out at +6. I increased the microphone sensitivity a bit. Just play with it to make it work for you. You can also reduce the volume if wanted for the ringtone. Most car auto places wanted $300-$400 so do the install and we knocked it out in three hours last night. Could do it much faster the second time around. Bottom line is that we're very happy with the unit and Christian's support was timely and wonderful.